Sheep shearing day is always an exciting event! Around the end of June we round up all the sheep for shearing. Our neighbors are professional shearers and they do the shearing while we provide support. 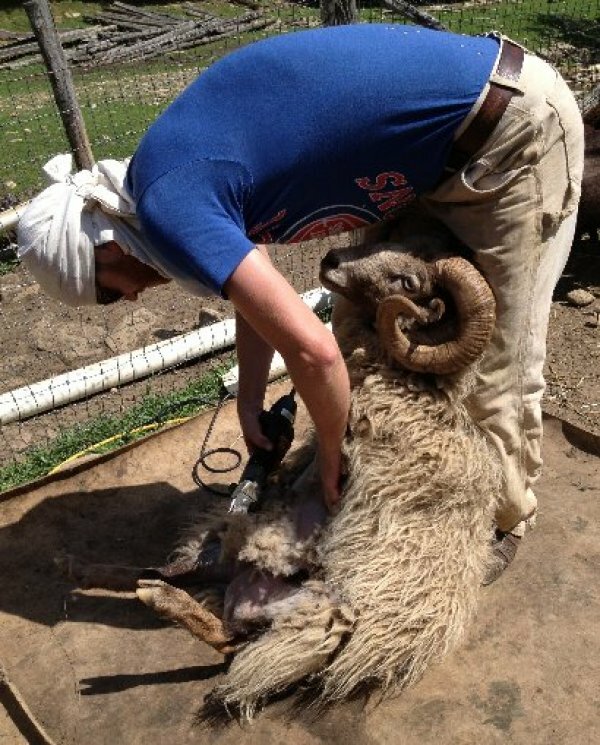 It’s amazing to see how even the wildest ram just lays back and lets the shearer do his work. It’s surprising, too, to see how the fleece holds together all in one piece when the shearer finishes clipping, just like a rug!